Company Cyprus Realty Center has the most complete database of property in Cyprus. We work with large and reputable developers, as well as with property owners, without intermediaries. Our years of experience and practice shows that people trust us, and this is most precious to us. Buying property in Cyprus, in any city – is the best solution, where we will help You. In our catalogue presents a large number of villas, apartments, flats, maisonettes, townhouses, and commercial properties. You can be assured that by contacting us, we will help You to find and buy the best option. 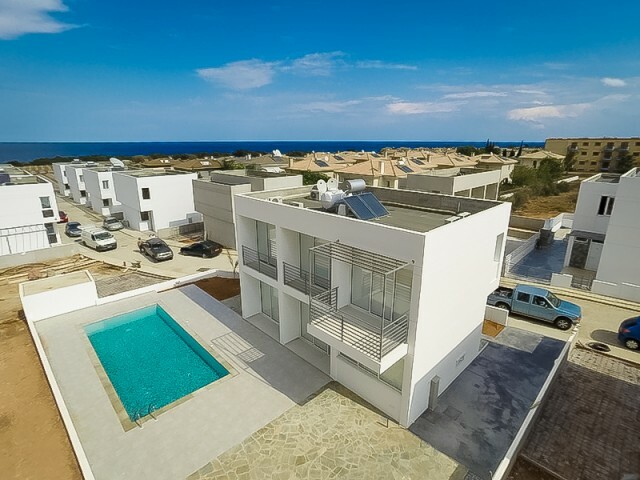 One-bedroom apartments in Paphos, in a stunning and beautiful place Peyia. The village of Peyia is located on a hill with stunning panoramic views of the sea and the beach Coral Bay. In walking distance: supermarkets, banks, cafes and restaurants,.. 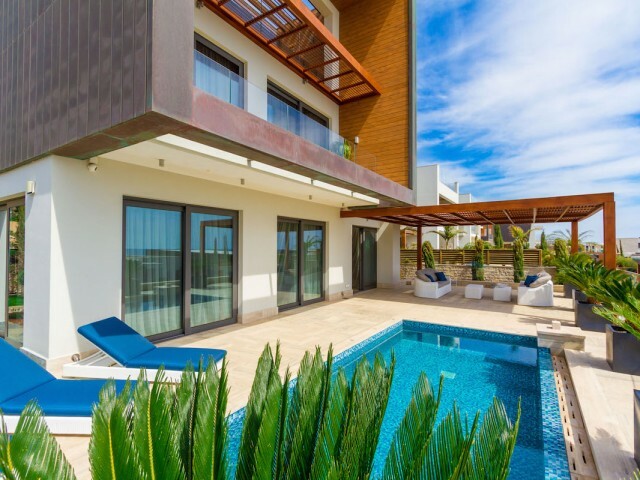 The villa is located only a short drive to the east of the center of Limassol, it is located in a fantastic luxury apartment complex overlooking the beach, which makes it one of a kind. A distinctive feature of this villa is spacious, modern rooms.. Fantastic investment opportunity in the heart of the tourist area of Kapparis. Villa with 3 bedrooms, 3 bathrooms boasts a unique modern design and layout. Great location in Kapparis near the waterfront with stunning views of the Mediterranean Sea.. Spacious five bedroom villa is located in a quiet area of ​​Agios Athanasios. Plot 521 m², living area of ​​495 m² and consists of three levels. 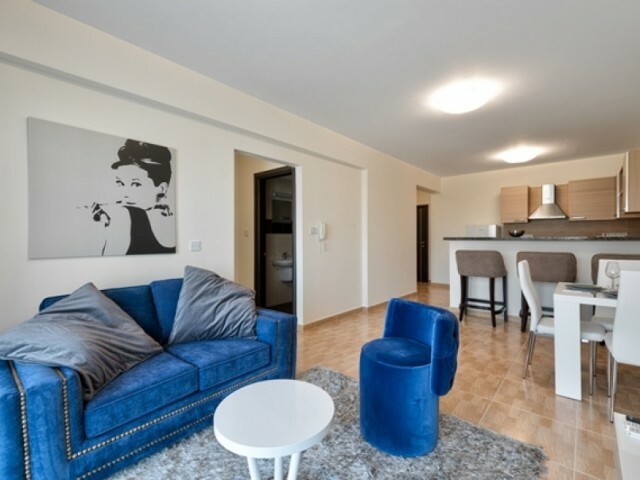 On the ground floor there is another small kitchen with dining area, one bedroom, one bathroom with sh..
Modern single apartment in a gated complex, located just a few minutes walk from the beach in the city of Limassol Potamos Germasogeia. Apartments include an open-plan living room, one bedroom, bathroom, kitchen and a covered veranda. The complex .. 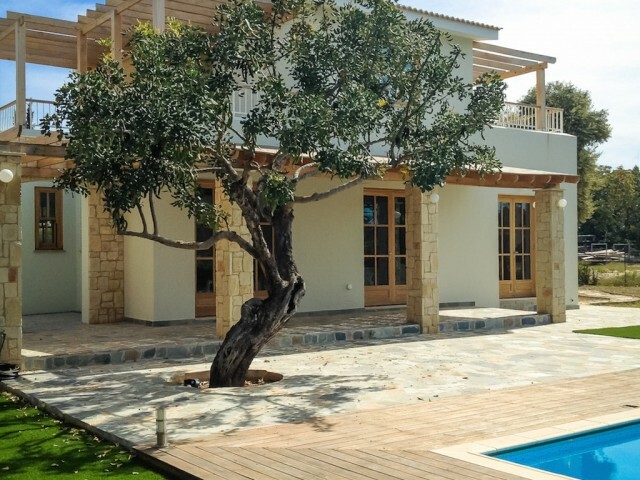 Luxury Residence, a 10 minute drive from Limassol, located on a plot of 388 square meters. Beautiful garden, large swimming pool, 5 bathrooms, covered parking for two cars, a games room, a study, an additional maid's room with toilet and shower. F.. Spacious villa with 5 bedrooms and fully furnished. The villa was built in 2012, it includes a separate annex with bathroom and shower room. Warm floors, a modern Italian kitchen, oak doors and windows are handmade, antique oak floors, a heated sw..
Four bedroom villa with swimming pool, located near the Potamos Germasogeia, close to supermarket Papas. The villa is located on a plot of 420 m² and has a total covered area of ​​200 m². The villa is equipped with a diesel heating, air conditioni.. Luxury three bedroom penthouse with roof garden in size 107 m2 in a prestigious complex located in the area of Potamos Germasogeia in Limassol. The penthouse is just a short walk from the seafront, town centre and all facilities. The apartment has..
Villa in Paphos, with two bedrooms in one of the most beautiful and sought-after locations. Near svya necessary infrastructure, as well as golf igrf golf. 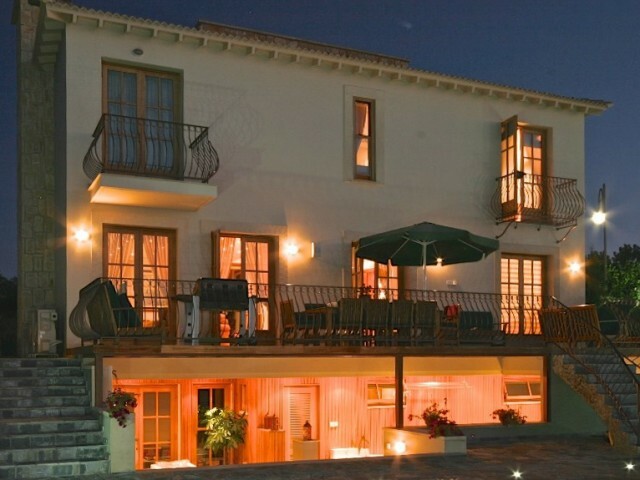 The villa has a private pool and is located on a plot of 1350 m². In just a few minutes from..